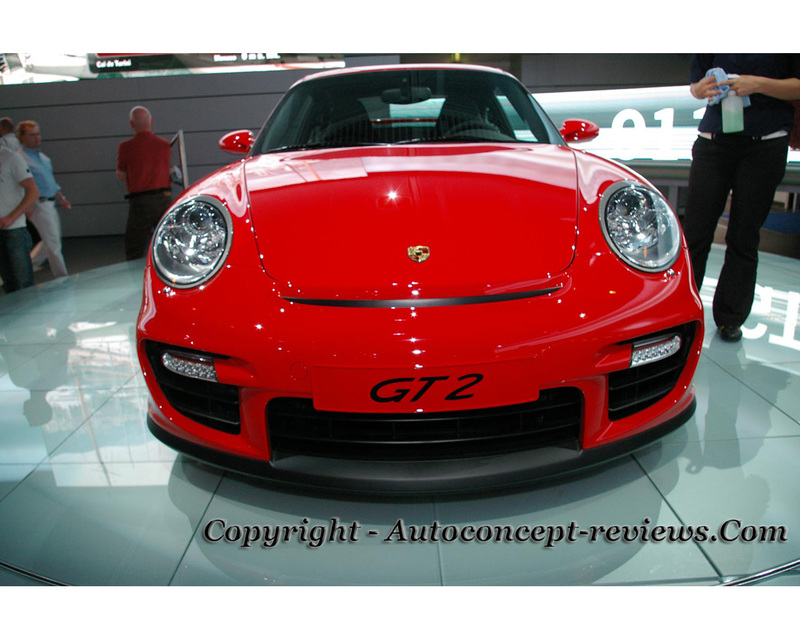 The 2007 Porsche GT2 was introduced at 2007 IAA Frankfort Motor Show. 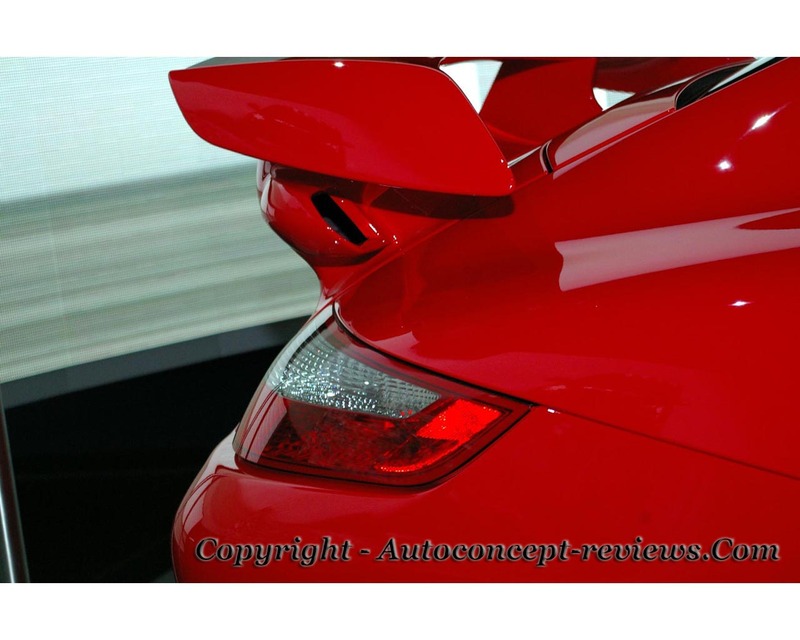 It is one of the most powerful road going Porsche 911 ever produced. The 3,6 litres 6 cylinders engine is fitted with VarioCam Plus and twin turbochargers with Variable Turbine Geometry fir faster response at lower engine speeds. Maximum power : 390kW or 530 hp at 6.500 rpm. Maximum torque 680 Nm. Acceleration from standing to 100 km/ (62 mph) in 3,7 seconds. Maximum claimed speed 329 km/h (204 mph). Quoted price 189.496 Euros. Performance and efficiency have both been enhanced, mainly through modification to the turbochargers. The transmission is by a six speed manual gearbox. 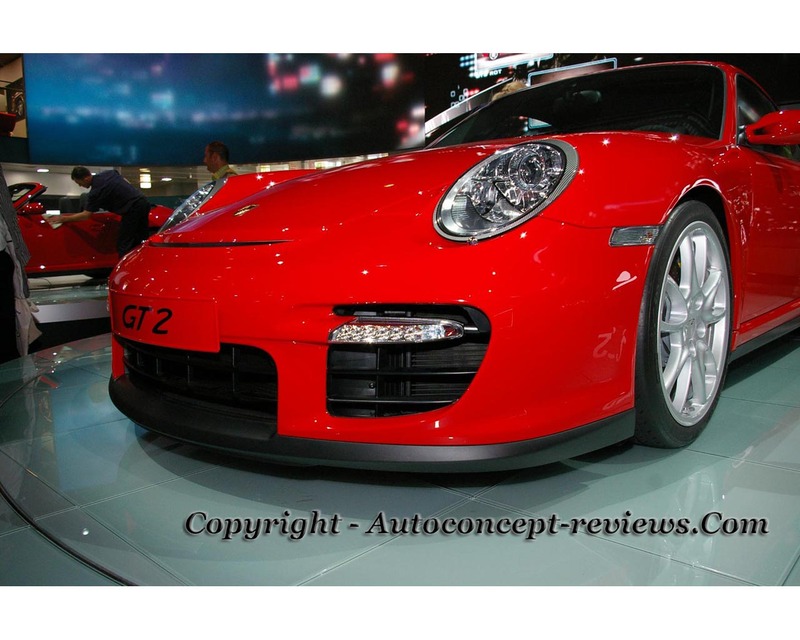 Among the new standard features on the Porsche 911 GT2 is Porsche Active Suspension Management. This active damping system offers a wide range of benefits in performance and comfort. Porsche Stability Management is also standard equipment. In addition to ABS, the package includes two automatic driver aids controlling lateral and longitudinal dynamics: stability control and traction control. For a more natural, challenging drive, stability control can be disabled separately or together with the traction control. 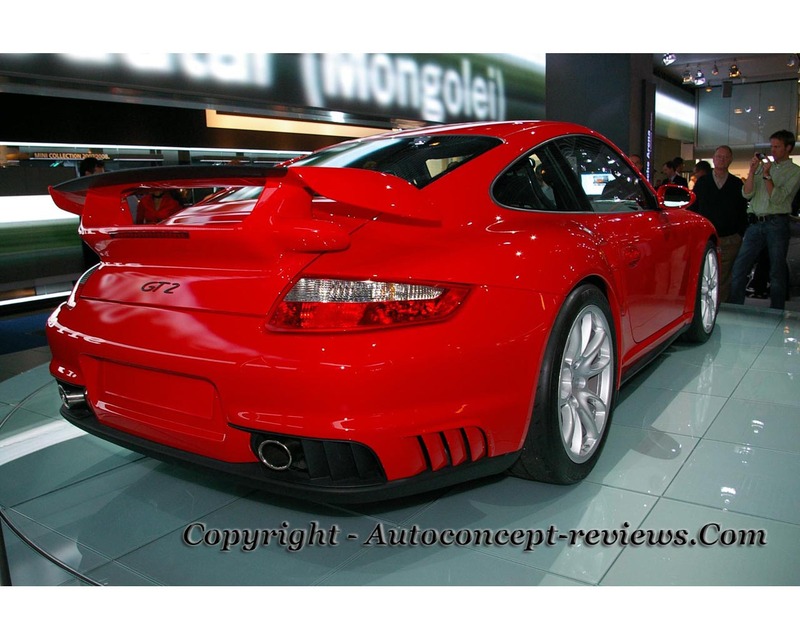 The 2007 911 GT2 runs on one piece 19 inches GT2 alloy wheels with road approved sport tyres. Another race proven technology is the standard Porsche Ceramic Composite brake. The discs are made from specially treated carbon fibre and are approximately 50% lighter than compared to metal alternative. The cockpit area is crafted in leather and Alcantara. The sport bucket seats with integral thorax airbags and folding backrests offer excellent lateral support and extremely high occupant safety. Among the dominant features at the front of the car are the large air intake openings. An integral air outlet ahead of the front lid increases front end downforce. Additional intake openings on the rear side panels supply the engine intercooler units. The fixed rear wing with integral lip spoiler provides greater stability especially at racetrack speeds. The twin titanium tailpipes are fully integrated within the rear apron moulding. Ventilated slits at the base of the rear apron assist with engine cooling.